Place the coconut water and ice in a blender and blend until smooth. 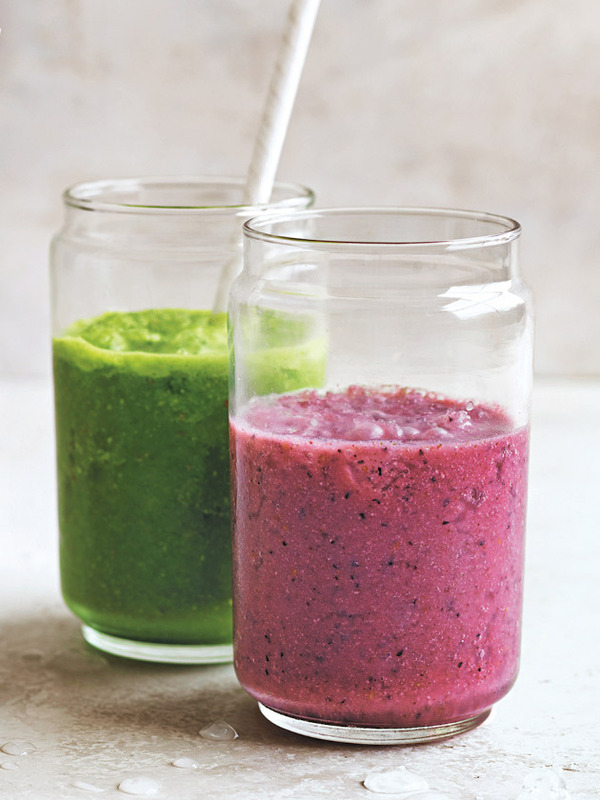 Add the frozen mixed berries, raw cashews and mint leaves to the juice mixture, before blending. Click here for the green variation of this recipe.